Fowl Dog takes pride in getting our premium breed decals just right and the time we invest in each and every design shows in the finished products. Our selection of 85+ durable vinyl dog breed, equestrian, wild game and livestock decals are made in the USA and engineered to last for three years or more. The unique, eye-catching, and true-to-breed designs show off the pride of every dog owner, equestrian, and outdoor sportsman on cars, laptops, and any other smooth surface! All decals are available online for individual or wholesale purchase and sold at over 30 premium pet stores and equestrian tack/feed stores in the United States and Canada. 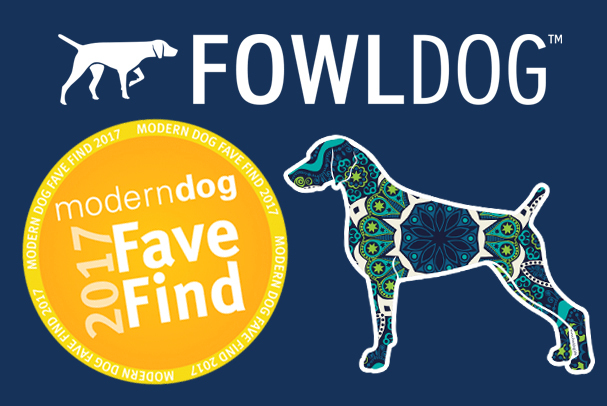 With low minimum orders (and no minimum for new retailers) incorporating Fowl Dog decals into your retail set is easy! Delight your customers with a truly unique, high quality product that stands out from the pack. Are You a Fowl Dog Fashionista? FOWL DOG FOR LIFE IS EN POINTE!